These Styles are 100% vector and therefore 100% editable and scalable without losing detail. This could also be used for Text,objects and other shapes. All Instructions are provided in help.txt file. 10 Girly / Cute Kawai Style for Adobe Illustrator is a set of 10 great vectorial style for Adobe Illustrator CS4. Theses are applyable on any object with just one click. It ’s the perfect collection for create beautiful icons, logos, titles, illustrations or decorations. 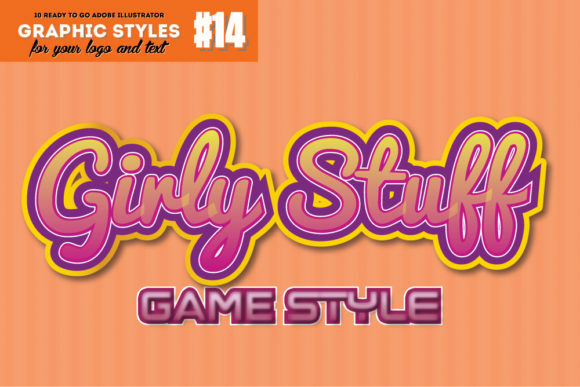 10 Girly / Cute Kawai Style for Adobe Illustrator is very easy to use, just follow the provided instructions.